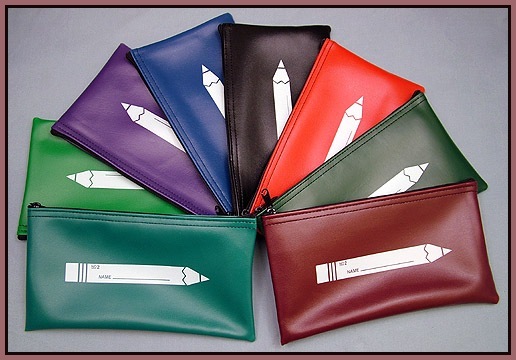 These style and size vinyl ( leather like ) bags-pouch are very commonly used by students attending an educational institution. They are extremely useful for storing and organizing small items such as pens, pencils, markers, small notepads, papers, etc. It is a very practical bag for all age groups from kindergarten to college. 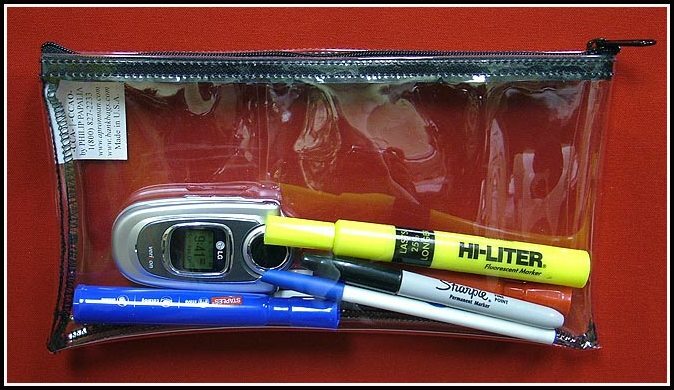 We can also install three ( most typical ) grommets across-through the bottom edge of any bag so it can easily be placed in a three ring binder notebook as illustrated below. The bag above VBB-1C is made from #20 clear vinyl which is heavier and more rugged than most all of our competitors that use #16. This bag is ideal where security is a concern because of the obvious see-through visibility. The two bags above without grommets shown here measure six inches high by eleven inches wide and are the same as our VBB-611. These bags can be made in any desired size. Please call us with NO obligation with your special needs or custom requests. The two bags shown here with grommets for a three ring binder measure seven inches high by eleven inches wide. The extra inch high compensates for the space taken up by the grommets but of course they can be made in ANY desired size. The applications and uses for these style bags are unlimited! 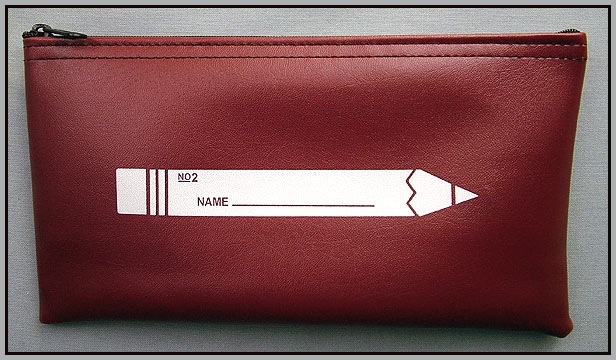 Bags like these can be utilized in countless applications and not just at school but in the workplace, or everyday life for storing shopping coupons, keys, coins, tokens and beyond! 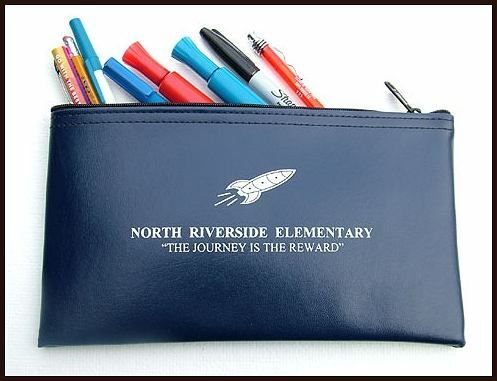 On orders of 125 or more one color-one side printing will be FREE!!! These bags comes in twenty three different colors. 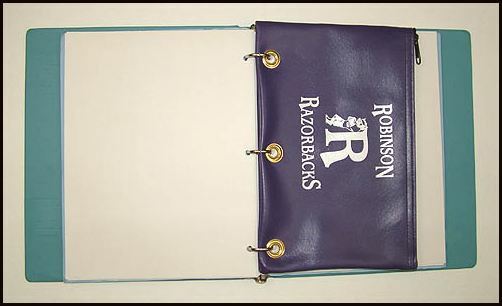 We can print any desired text and/or include a school logo such as the bag below. We will extend special pricing to bona fide educational institutions. Please inquire with your needs to our toll free number 877-265-2247.